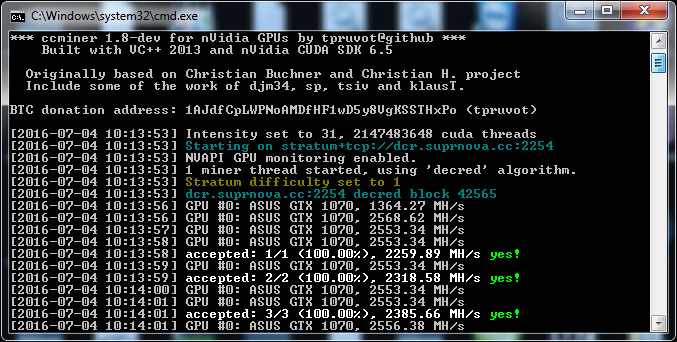 Under Linux, the original Meiyo-Meijin ccminer is still faster, +200 Kh/s for a GTX 750 Ti. Use Last Driver for windows 10 x64 bit . The improvements for Lyra2REv2 here are from the initial release that was made available by NiceHash, not the latest ones by Nanashi Meiyo-Meijin. 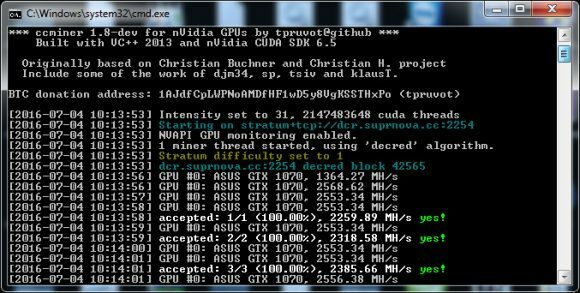 With GTX 1070 have 35 mh/s on lyra2v2 with +150mhz overclock . I am installing the Cuda development pack, hope this fixes it. I will provide more details of what i am running and on what hardware and then what i did.